Anyone who gets hurt on the job may be entitled to workers’ comp benefits, but it’s not always easy to figure out what to do next or how to get the support you’ll require to recover in full from your injuries. A new report from the Workers’ Compensation Research Institute anticipates that state employees within Louisiana may have decreased prescription drug costs by up to 28%. This would lead to significant savings for the workers’ compensation system and many people who need to file a workers’ compensation claim in the state of Louisiana will rely on their prescription medications to recover from tehri conditions. Physicians may be able to prescribe prescriptions without obtaining pre-authorization if the formulary lists that drug within it. One out of every five non-formulary prescriptions that were filled by the Louisiana state employees included long acting opioid such as oxycodone. These drugs are being viewed more carefully in recent years as a result of the opioid epidemic. Paying for your prescriptions as well as all of your other medical treatment costs can be overwhelming for someone who has been seriously hurt in an accident in Louisiana. It may be difficult to figure out how to pay your own individual bills outside of these medical expenses and prescriptions due to your lost wages. Although you may receive support from a workers’ compensation claim, it can be difficult to navigate this process on your own without the insight of an attorney who has been practicing in this field for years. This is why you need the support of someone who has an active presence in assisting those who have complicated workers’ compensation claims to recover the necessary benefits. Support from an experienced attorney should be obtained sooner rather than later to give you the best possible opportunity to recover in full. 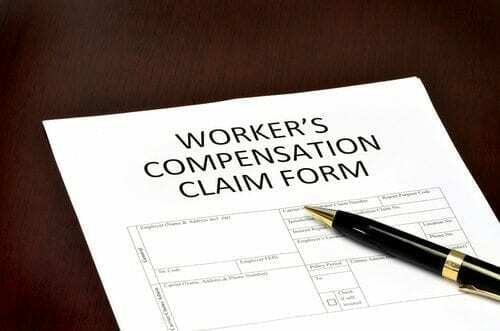 There are many different facets of a workers’ compensation claim that need to be taken seriously by someone who is extremely knowledgeable about this situation.